Do you want to make outstanding African Cuisine that will have your family and friends begging you for the recipe? 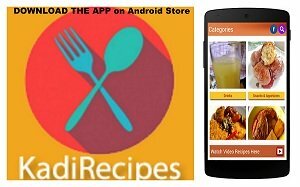 Do you want to quickly learn the ancient techniques applied by master chefs in Africa? Do you want to cook healthy nutritious and great tasting African Cuisine? If you said “yes” to the above, you’re in the right place. Who Says That Making African Cuisine Was Hard? For over years now ,many people have requested me African Cuisine recipes --recipes that really work. Tasty recipes they love each and every day. But they also wish the possibility to cook such dishes at home for themselves, their family members and their guests. They asked me to write a unique cookbook. Here it is! Until now, these recipes have been secret African Dish recipes. Palm Nut Soup and many others! 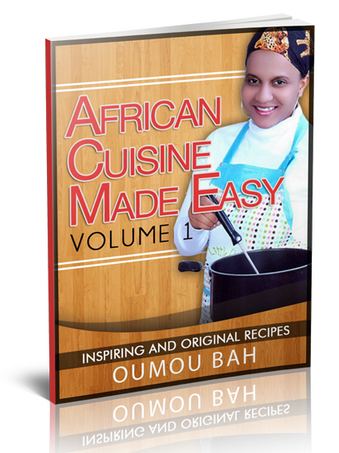 Purchase and download my electronic “African Cuisine made Easy” cookbook to your computer through this Ultra Secure Server. You have found the perfect recipes you've been looking for. NOW is the time to make the purchase. How much do you think you would spend to be able to recreate the Africa's top-quality cuisine on demand in your kitchen? What would it be really worth to personally figure out how to make dishes that would normally cost up to $400 per plate? Honestly, I'm tempted to sell this amazing secret cookbook for $50 or well over a hundred dollars. You will the get the eBook directly after payment. You won’t pay any delivery fees or wait for days. Note: This is NOT the hardcopy of the cookbook that you are buying but the electronic version of the book. If you have more questions about how to buy it or need help please contact us here so that we can help you.